Time sure flies when you’re having fun doesn’t it! It seems like only yesterday I was playing my first PC games on an old bucket I still have in my house. This 33MHz antique could barely run doom at a playable frame rate but I still enjoyed every glorious moment shooting imps and demons with my BFG. Computers got better and so did the games but the charm of the oldies never died and it seems that nowadays the market is flooded with rip-offs and reboots that give me an even greater sense of nostalgia when I look at my old rig in the basement. My interest in PC games slowly waned over the years because the golden age had come and gone. Once in a while a rare gem emerges and I anxiously sit down at my PC so I can lose myself in a virtual world but I’ll never forget the top 15 greatest PC games I’ve ever played, which left such an impression on me and will be a part of my special collection until I die. 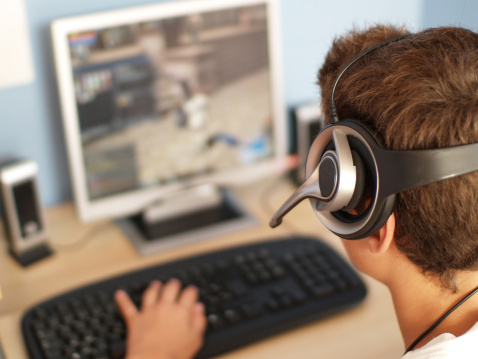 How do you feel about the decline in PC gaming? Away with the PC! Consoles, forever more! Both consoles and the PC have a place in our future. PC games take a back seat to no one! I'll play them till the bitter end! It’s hopeless for me to pretend that I don’t have a bias, since I clearly gravitate towards certain types of games so I’m not going to say that this list is THE list. I’m only going to say that it’s MY list, and for those gamers like me, I have a feeling they won’t take too much issue with my choices. What is my preference? Well, definitely sci-fi. I also prefer first person perspective but not exclusively. I really like a game with a good story and player immersion is so very important. Finally, the game just has to be fun and entertaining, even when it lacks all else. Pay attention for these key elements when I get into each game and I think you’ll notice that every game has got something from this list. Alright let’s get to number 15! Developed by Parallax Software and published by Interplay Productions, this 1994 game was ahead of its time, offering a fully 3D, 6 DOF, texture mapped environment and equally elaborate maps to explore. The protagonist pilots an advanced fighter, capable of equipping many different guns and missiles. The fighter, much like a helicopter, can hover and translate in any direction but unlike a helicopter, it can also roll in any direction including upside down! A big mining company known as the PTMC has several mines throughout the solar system on planets and moons, all run by robots and a minimal complement of human staff. When the mines break contact with the PTMC, they soon learn the robots have become infected by a virus and are turning on their masters. The AI malfunction is growing like an infestation, making more mechs as necessary and spreading to other mines. To protect its financial interests, the PTMC sends you to destroy the infected mines and to a lesser degree, save hostages, until the virus has been contained. The plot plays a minimal role and you are only really reminded of your mission in between levels when you get a short briefing from the PTMC about the next mine. It does somewhat isolate you though because you realize these transmissions are the only human contact you ever get, so far away from home and it’s coming from people who could care less about your life. The mines themselves are of no consolation. They are cold and desolate. The only activity consists of hostile robots out to kill you so you have to stay very sharp and watch every angle as you trace your way through the infected arteries of the mine, in the dark. For an old DOS game, Descent does a great job playing as a survival game. It’s tense and action packed, with a great musical score, several challenging levels of difficulty and a creepy ambiance that quickly turns to terror when you get unexpectedly ambushed. It definitely earns its place among the classics. Released in 2001 and 2003 respectively, these 2 games are beautifully done. There was also a movie and a MP3 but we won’t talk about those artifacts. To me, the series ended at 2. Max Payne is a third person, mobster style, shoot-em-up game set in a very depressing and despondent environment. Max Payne of the NYPD had a great life until some junkies busted into his house and murdered his wife and baby girl. From that point on, Max becomes a vigilante set not only on cracking the case but fragging everyone all the way up to the top, who played a part in the death of his family. The game is set up kind of like a graphic novel at first and opens into a trainer type level which is also a prelude into Max’s story. The levels are like chapters and the chapters are also a part of larger “acts”, each with a significant plot development and change in main objectives. The levels are the perfect segue from one act to the next and between each act there are either dreams or hallucinations that remind you how screwed up Max has become from all the trauma in his past. Both between levels and during play, Max voices several internal monologues that let you know what he’s thinking and keep you connected to his point of view. The level design is flawless. The dark, cold, rainy, depressing conditions outside compliment the run down, decaying décor of most indoor areas. There are drug addicts and thugs everywhere and it seems that the weather is always in lockstep with Max’s current mental health. 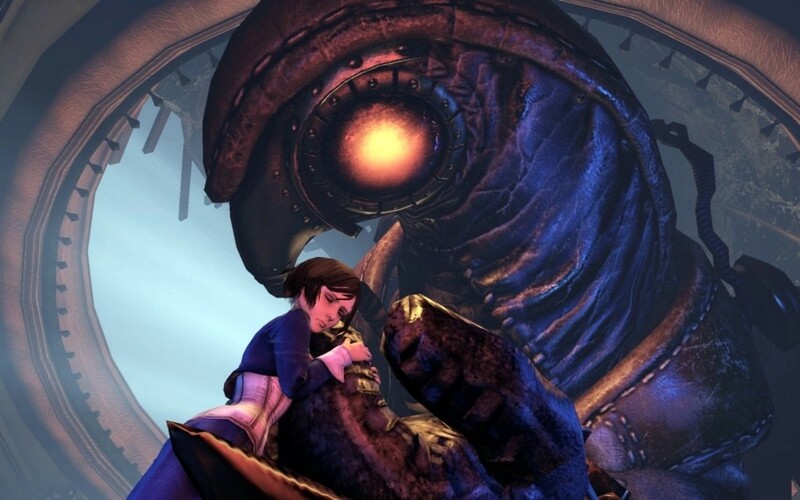 The sequel is very much like the first game except even more depressing and you really start to get to know Max after a while and to see things from his eyes. The sickening feeling you get when that level of immersion is achieved might not be what you want from a video game but I think it’s brilliant. That’s why it makes my top 15 list! Ever since 1998, this game has been absolutely viral and not just in Korea. It’s not even in my preferred video game genre yet I find myself addicted to it every time I play. It’s a real-time strategy game with an overhead isometric view. You start out with a basic command structure, a few workers and a small number of resources. From there on out you have to build a base and an army with which to destroy your opponents. This requires both speed and tactical ability, as your success will depend on how much intelligence you have on the enemy, how fast you can adapt to their strategies and how well you manage your resources, to put it simply. Subsequent installments and add-ons ramp up the difficulty by adding new unit archetypes but I find the original starcraft to be nicely balanced and still simple enough to be very fun for most players. It is also set in a futuristic sci-fi environment so the tech is sure to impress players with units like tanks, nukes, shields, flying insects and much more. The single player campaign is perhaps a bit underrated and some people I know only play multiplayer, which is a game in itself, to be fair. Multiplayer supports up to 8 players on a map grid and the level editor allows for many different styles of game play, although the standard melee type is plenty fun as it is. To this day, despite the many popular strategies that exist, the game is fine-tuned enough that it’s impossible to pick a winning strategy and a skilled player can win with any race and any tactic, if executed properly. Simply put, playing this game keeps you on pins and needles the entire time until you lose or the enemy gives you the gg. I almost feel unqualified to talk about halo since it’s exploded into a “miniverse” of sorts. I’m only going to talk about the first Halo but the fact that it spawned so many successful sequels says something about its popularity. I didn’t find this a particularly cerebral game but it didn’t have to be. It was just plain fun. 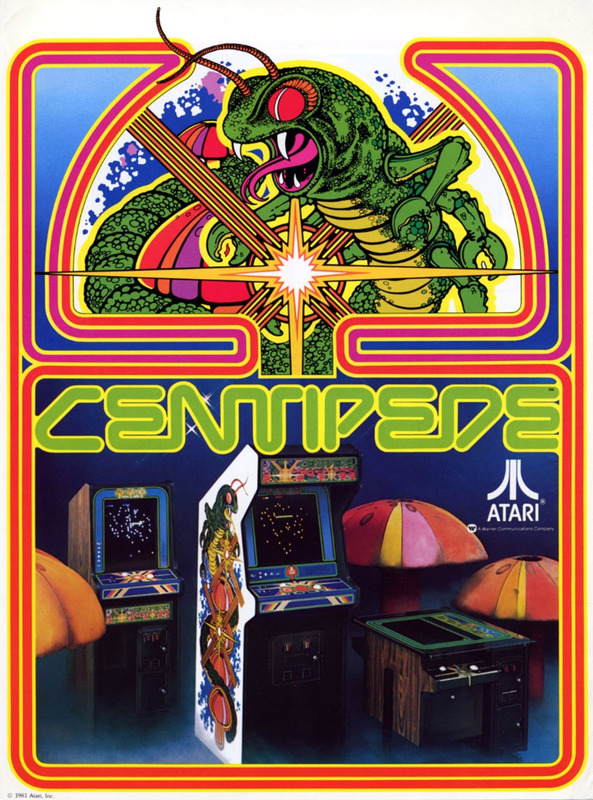 The game was colourful, the controls worked very well and it was fast-paced. It played like a war game but with an arcade feel to it. Fragging the enemy was very satisfying with big plumes of dirt erupting from explosions and flying, screaming bodies, all with very little blood or gore. The in-game AI commentary was also entertaining! Long walks on the beach... and aliens! Speaking of AI, the NPCs interacted very well with the player and made you feel a bit like you were playing coop with your friends. The vehicle dynamics were really cool too and clearly a lot of effort went into making vehicle behavior as entertaining as possible. Level design was fairly linear and unambiguous but still open enough to have feel liberating. Getting in a flying vehicle was even better because you could cover a lot of ground quickly and see all the ant-like action on the ground as you swoop around canyons. Enemies were plentiful and had several interesting modes of attack. Again, the weapons and death modes were very satisfying and you could create some pretty wonky chain reactions that would send a dozen enemies and bunch of debris flying all over the place. Being constantly in the midst of that made me laugh on several occasions. Hard to believe there are actually parts where stealth is the best way to clear a level but even those types of players were rewarded for the skills they may have picked up from other more evasive games. In 1999, which I have started to call “the golden year of PC gaming”, Egosoft developed X-BTF, which is a beautiful game for the explorer type out there. You get a very inspiring intro video speaking of man’s ingenuity and passion for exploring the cosmos. Apparently man worked tirelessly and eventually designed jump gates which could take them vast distances so they could finally escape their solar system and explore new worlds. They begin colonizing new planets and create teraformers to expedite the process. Unfortunately the teraformers go haywire and attack humanity until a brave pilot traps himself and the teraformers far from Earth, destroying the only gate back before Earth could be attacked. This throws mankind into a dark era and they struggle to regain the stars. Eventually they create a special shuttle that has an integrated jump capability. The protagonist plays a test pilot, the first to try it out! That childhood dream of being an astronaut doesn't have to die. This game is incredible. The artistry is the focal point. Everything is soothing, from the beautiful stellar backdrops to the music. This is far more apparent in X3, which is able to exploit even more impressive graphics to wow the player and give you the most immersive experience. While the game does incorporate combat, it is not the focal point nor is it the strong point in either game. Where it excels is the elaborate trading system, the communications with other races and the ecosystem you have to explore and learn in order to survive. As a sandbox game, you are given the freedom to choose what you want to do with your time. There are mission objectives but these are sort of “when I get around to it” objectives. If you want to do nothing but fly around in space looking at stuff, you can do that. If you want to settle down and trade, building your economic empire, you can do that too… and if you want to blast away at stuff you can sure try but without a little patience for the game’s natural pace and progression, you’ll die quickly. Space never looked so good! If you’re the type who looks up at the stars at night and wonders what we’ll be doing out there in 100 or 1000 years, this is the type of game you want to lose yourself in. If I ask you what Tron is and you say “Oh that’s that movie I saw in 2010, yeah I know Tron”… then you don’t know what Tron is. Stop reading this and go watch the 1982 movie. This is an example of a movie well ahead of its time, using state-of-the-art computer graphics to present a relatively basic plot in a very compelling way. Kevin Flynn is a gifted programmer who used to work for a huge software company called ENCOM. He developed a bunch of games in his free time which were awesome whereupon another employee stole his work, got promoted and then the company fired Flynn. Later on he and his friend Alan Bradley and his girlfriend break into ENCOM to retrieve the evidence that will re-establish Flynn as the rightful author. In the process, Flynn gets digitized into the computer he’s working on and embarks on an adventure inside the computer world. Because I don’t want to spoil the plot, this synopsis may seem unimpressive but watch the movie and you’ll see how awesome it really is. Now fast forward 20 years to 2002 and we have the video game Tron 2.0 (get it?). Long after the events of the movie we see a new character, Jet Bradley and his father Alan still working at ENCOM but this time it’s Jet who gets pulled into the computer. We learn this was done on purpose by the system’s AI because the AI is being threatened by a virus and requires a user’s intervention from inside the computer to combat the virus. The visuals are nothing short of impressive. Once again Disney and Buena Vista Interactive have outdone themselves. You get a very techy, clean, colorful environment with lots of angles and glowing lines. You really feel like you’re in a computer. The weapons, items and everything else you use is some sort of a computer analogue to a real thing. For example, something that resembles and functions like a sniper rifle is actually a subroutine that you acquire and must load into your working memory. It has a computer name, a computer description of how it works and it uses energy instead of ammo. You don’t kill enemies in Tron 2.0. You “derez” them, which is kind of like crashing them. You move around from one partition or system to another and can even visit mobile devices. You do this via ports or wireless network. The story and character development are well done also and there are a lot of throwbacks to the original movie to provide a sense of nostalgia. Puzzles are an important part of the game but they’re simple puzzles you won’t get bogged down trying to solve. They just challenge the player enough to fully exploit the environment that the developers have carefully crafted. This game really becomes extremely fun especially if you have computer knowledge already because of the constant references to computer software and hardware knowledge. The cut scenes are again, really nice and the audio/video never fails to impress. This is one of those games where you really have to watch the movie first or you won’t appreciate everything the game has to offer. Still, the replay value remains high despite its linear progression and all sorts of people will enjoy this title because of how intelligently it was designed. That’s why it’s number 10! How bout playing a PC game from inside the PC? Have you seen the original Tron movie? I wasn't even alive then! I saw it and it was awesome! Meh... I didn't care for it. This is an old DOS game by Origin from 1995. It’s unique in the sense that it’s like an interactive story but with fully texture mapped 3D elements superimposed on top of a 2D animated backdrop. Various fixed cameras give you a view of what’s going on no matter where you go and each “set” has a 3D looking background that you can interact with, complete with animations like moving water, steam, blinking lights, etc. So for example, you can run across a bridge, which is part of the 2D background but if you miss your step you’ll fall off, even though the bridge is just part of a picture so the programming of the game knows where you are and what you’re doing. As for your character, you’re fully 3D and your appearance will even change depending on what you’re wearing, how much damage you receive, etc. Your enemies are also modelled in 3D. It takes some getting used to but it’s really cool. The character has 2 modes of movement. One is move mode, where you can run around and interact with things and the other is combat mode, where you take a stance and can do “street fighter” type moves like punches, kicks, head butts, flips and blocking using the numeric keypad. You also fire any weapon you have in this mode. Animation is very smooth and realistic and this game was the first to use their own “flock of birds suit” to animate their characters using a skeletal animation system. This is essentially some suit you don with sensors that track real motion and digitize it so the developers could climb a real ladder and the motions would become what they would use for the main character when he climbs a ladder. OMG I'm a cybernetic freak !!! The story has you waking up in a detention cell with no idea who you are or what’s going on. Clearly you have been turned into a cyborg of some sort but you don’t understand how or why. You escape from your cell and find yourself on some sort of a research base on an unknown moon. The story is all about finding out who you are, escaping the base and exacting revenge on the ones who transformed you. You have many enhancements that give you an edge like superhuman strength, the ability to heal and fire a built-in alien weapon using replaceable batteries and an internal note recorder that transcribes your thoughts and experiences for later reference. You can pick up, analyze and use various weapons, access computers for information and there are various puzzles to solve in order to get ahead in this game. The puzzles are challenging and take some investment to complete but they are not impossible. This game isn’t for the run and gun type of gamer as it’s more cerebral than that but it’s definitely rewarding for those who like a bio, sci-fi, RPG, adventure with puzzles. I think the part I like the most about this game is the care that was given to character development. You really start to unravel the mystery of who you are during the game and the gameplay mechanics are so well done that it doesn’t seem like a chore in getting there. I’m grouping these 2 Frictional Games titles together because they are very much the same game in terms of everything that makes them great. They have totally different settings but both employ the same strategies to achieve their goals and they do this extremely well. These are FPS horror/survival games. Penumbra is a present day sci-fi whereas Amnesia is more of a medieval castle setting. Both are EXTREMELY effective at scaring the sh** out if the player. They don’t use the worn out “boo behind you” tactic that so many other games use. Instead they achieve fear through a combination of very effective player immersion, a novel physics/interaction system, and subtle environmental cues to put you extremely on edge without actually doing anything to you. In both games you also either have really pathetic or useless weapons (Penumbra) or no weapons at all (Amnesia) so you are pretty much helpless in every way that you can be helpless. There’s no illumination anywhere so you have to rely on depleting light sources and you’re in a lose-lose situation because if you use light to see, you attract enemies to your location but if you cut out your light, you start losing your mind (on top of being blind). This is a gameplay mechanic that constantly causes the player distress. The environment itself is very creepy and disturbing but not busy at all. Every psychological effect on the player is done delicately and carefully with as little actual action as possible. It’s very effective. The physics/interaction system is something else altogether. You reach into the game world with your mouse and move everything just as you would if the mouse was your own hand. You open doors, drawers, boxes and other things just like you would expect and with the same motions. You can throw things, rotate valves, mix chemicals (like you’re actually doing chemistry), install machine parts. It’s very realistic and even though it’s a part of the puzzle system, it makes you feel more involved in the game so as to play off of the fear system. When you feel like you’re there, fear works more effectively. The limited combat system in Penumbra uses the same physics system as object manipulation so taking a swing at something with a hammer requires you to swipe your mouse in that direction. It’s a little weird at first but very effective for enhancing the experience. The sounds and visuals are eerie and dark. 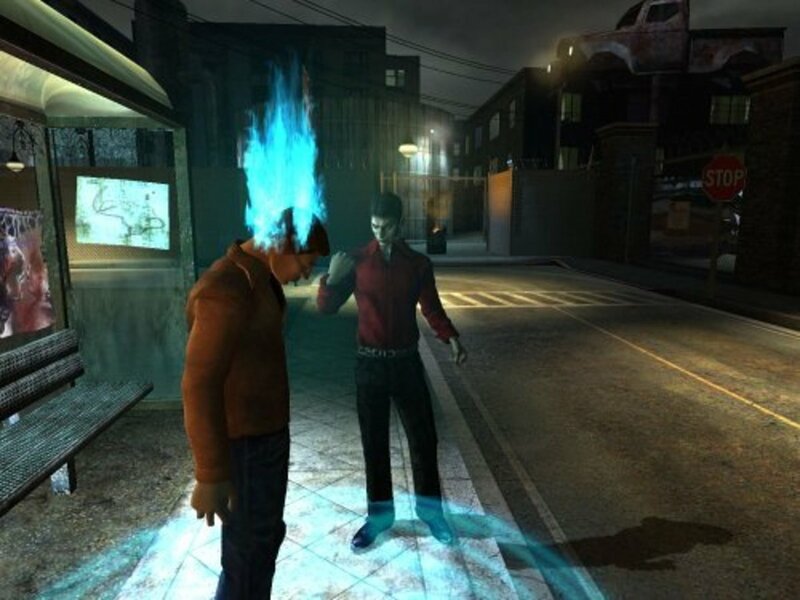 The character clearly responds to frightening events and this is achieved by making the player pant or inhale suddenly or by shaking or blurring the screen. This game is all about scaring you by showing you what isn’t there and by sucking you into the screen as closely as possible. I played Penumbra first and for that reason alone I played Amnesia, even though I really don’t like castle games. If not for that motivation I would never have known what I might be missing. I’m glad I played both of these games and I strongly suggest you do too… if you can get through it without wetting yourself and screaming like a little girl. Believe me it’s harder than you think. Another 1999 game, this time by Relic and Sierra, Homeworld is one of my all-time favorites. If I wasn’t trying to be fair to everybody else out there, this’d be really close to the top of the list. 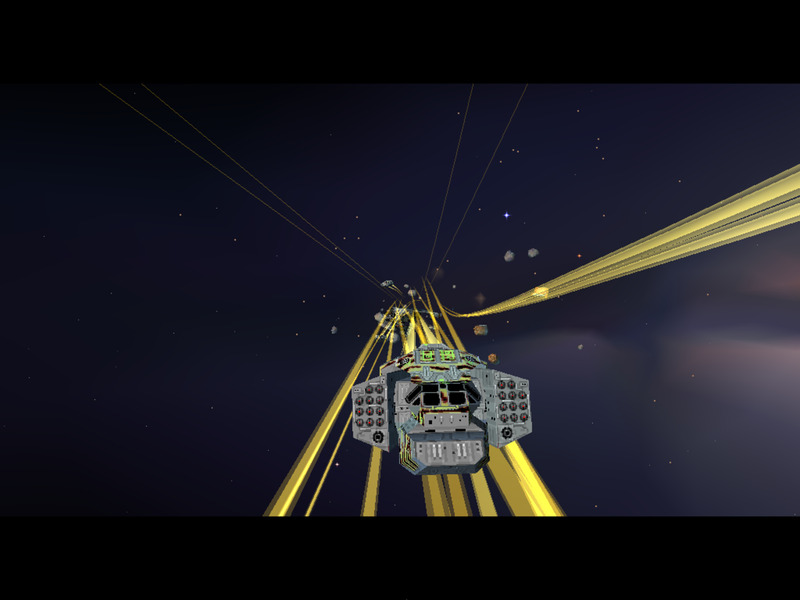 Homeworld is a real-time strategy like Starcraft but unlike that game, this one is fully 3D and set in space. The camera system is cylindrical so there is an up and a down unlike games such as Descent but you can translate in any direction and rotate your fleet within limits. Again, like Starcraft, you are usually developing a fleet or army of units, spaceships in this case, by gathering resources, researching technologies and unlocking new ships and abilities. However, whereas Starcraft shone more because of strategy elements and gameplay mechanics, Homeworld is more about the story, more about the journey. You are a race of people who have located an ancient starship buried in the sands of your own planet. Within the ruins you discover a galactic map, pointing to a location believed to be the homeworld of your race. You also find a hyperspace core, which you reverse-engineer in order to develop a mothership capable of hyperspace travel. The effort unites everyone in peace and everyone looks ahead to finding their homeworld. The game starts with the player commanding the fleet on its maiden voyage. At your disposal is “fleet command”, which amounts to a living member of your race who had herself physically wired into the mothership in order to control its many complex systems. For all intents and purposes, she is the ship. She speaks to you about ship systems and communicates with other vessels that you encounter. You also have “fleet intelligence”, which is a male crewmember who provides intelligence and mission objectives. The mood that this game creates is hard to describe. It is pacifying more than anything. It makes you feel at one with the universe, like an explorer, perhaps like Picard on Star Trek. There are moments of sadness and tragedy. There are hopeful moments. The scenery and music are serene and beautiful but can turn to serious and alarming during battle. The motifs of peace, naivety, suffering, wonder and hope are conveyed partly through fleet command. The voice of the character Karen S’Jet always makes you want to pursue diplomacy rather than combat. That’s not to say there’s no combat. The game is all about combat and you need to blow up a lot of stuff to win the game. The game can take on a very militant feel during skirmishes and the ship noises, animations and explosions are very satisfying and adrenaline boosting. You have to manage resources carefully and create the right units to defeat the enemy and this is plenty challenging. You won’t be disappointed with this game if you’re looking for a fight. That said, for myself, I like this game because of the feeling it gives me, which is not what I look for in a game like Doom or Unreal Tournament. It’s similar to the feeling I get when playing X-BTF or X3 so if you like those games but maybe want a bit more action, Homeworld is right up your ally. If you’re in one of those “screw the plot” moods and you just want to run around shooting stuff and have a load of fun, play Unreal Tournament! This is the complete package. It’s got sci-fi. It’s got action. It’s got combat. It’s funny. It’s also weird and creepy at times too. It’s got it all. I’ve never met a scientist before who was so stupid intellectually but also a walking tank but I don’t care. Gordon Freeman is the man! I’d start with a synopsis but this game is so huge it’d feel redundant. Half-Life combines the best elements of some of the other games I’ve already reviewed. It’s got techy sci-fi elements, a bunch of cool and sometimes bizarre guns, really comfortable controls and combat, occasional humorous moments, puzzles, good plot development, changing environments and scenery and a whole bunch of other things. It feels very open and you’re free to explore and backtrack somewhat. It’s not a sandbox game but it’s not restrictive either, so too with the sequels. The physics system is particularly well done and you can sometimes exploit the physics in the game to solve problems that aren’t generally anticipated by the developers. Again I’m mostly referring to HL2 but I was still impressed even with HL’s implementation of physics. When I play this game, I feel like a superhero on a big quest and everyone’s out to get me. It’s quite thrilling and you have to be resourceful despite the fast paced nature of the game else you’ll get blown to bits because you rushed head-strong into a trap or something. I think HL’s extended replay value comes from the fact that it is the perfect balance between being entertained and being mentally stimulated. It therefore reaches a wide audience without really compromising on either aspect. This is what makes it stand out for me. Mass Effect was the first game I played that gave me so much freedom that it was almost overwhelming. I didn’t know where I wanted to go first or what objectives I wanted to complete, or how much of an a-hole I wanted to come across as. I was in charge though, that much I knew. Being a bit of a sci-fi buff, I took to this game right away because it sticks you in the driver’s seat of a powerful stealth ship that can use mass relays to travel all over the galaxy to different worlds and since you’re a Specter, you have nearly unlimited authority to do whatever you want or go wherever you want. The story puts you in the middle of a universe where “Specters” are a sort of police force for the galaxy and humans haven’t yet gotten one of their own into the Specter ranks. The player’s character, Shepard, is however gaining popularity among the council and your superiors are trying to get you in. When a crime takes place within the Specters’ own ranks, the council expedites your promotion to Specter status and charges you with bringing the suspect in question to justice. At this point you take command of the ship you used to just serve on, boot your captain out the door and start planning what to do and where to go. You can go anywhere you want but you’ll continually get input from the council and others as to what you should do and what secondary objectives you should put on your priority list. It’s quite empowering and it’s easy to get distracted with numerous secondary objectives but that’s generally ok since you’re not at risk of losing the game because you took a detour here or there. The items you can use in the game are too numerous to go through and everything is customizable, leaving you with many possible configurations. Each member of your team, including yourself, are also able to level up and you can allocate level points to whatever discipline you see fit. The available disciplines and unlockable skills depend on what sort of character archetype you selected at the beginning of the game. You can be a purist in 1 of 3 categories or you can blend 2 of them. The categories are analogous to weapons, tech and psionics. This is similar to System Shock II in many ways. Furthermore, Mass Effect employs something akin to bullet time or pausing, which allows you to use your special abilities and issue other commands without getting penalized for the latency involved in doing so, by getting shot a hundred times. This only works in combat mode, the other being non-combat or “walk around” mode. In this, it’s similar to Bioforge. When it’s necessary to land on a planet without docking, you can land in a jet propelled all terrain vehicle dubbed the Mako. This has its own armament including a cannon and machine gun, just like a tank. It can also jump using its jets. You and your team can exit and enter the vehicle at any time to complete your mission and even repair the vehicle when it becomes damaged. Mass Effect is made to look extremely intricate and detailed. It therefore stands to reason that the player’s experience seems very real, almost like a simulation. NPCs react in a natural way and the behavior seems almost spontaneous rather than scripted. Clearly a lot of work went into making Mass Effect a game that would leave an impression on the player as an alternate reality that you could escape to when you started the game. It certainly earns its place at spot number 4. Deus Ex used Unreal engine technology so it had a lot of potential right from the start. Ion Storm didn’t hesitate to exploit any of its capabilities either. Deus Ex is a game of many choices. You can achieve any of your goals in half a dozen different ways. Depending on your preferred style of gameplay, you can blast everything to bits and win the game or you can sneak around avoiding everything and win the game. Like other games we’ve seen here today, you get skill points for achieving objectives that you can spend on training of a certain type. Maybe you want to be a better marksman or invest in hacking instead. The choice is yours and how you spend your skill points and money to buy items will craft your character into a certain type of specialist or a well-rounded jack of all trades if you so choose. Some builds are better than others for certain tasks but that’s the fun of being given a choice. Your character, JC Denton, is an augmented human, a cyborg of sorts but one of the most advanced prototypes to date. You have to install augs that you find, upgrade them and run them off of a limited supply of bioelectricity. Each aug offers 2 choices. Once you make a choice though, it’s permanent. JC can use anything he finds but training will improve his skill with these items significantly. JC was created in a lab to achieve the hidden agenda of a group of power hungry technophiles by working as an agent for UNATCO, a seemingly benevolent organization meant to keep peace and dispel terrorist activities. There is a plague going around and certain “terrorist” organizations are sabotaging shipments of the only available vaccine and distributing it to the general public instead of letting it go to important figureheads and the rich. Your job initially is to deal with any initiatives to interrupt these vaccine shipments but as the game unfolds, the politics behind these missions start to become blurry and you begin to reconsider your priorities. Passivist or walking tank? You decide. The maps are located in several international locations and include many different buildings, underground areas, rooftops, ships, etc. Sometimes you can backtrack to earlier areas but the game is still mostly linear. Despite this, each level is fairly massive and you can spend more than an hour exploring the entirety of it. Some areas are very well hidden and worth checking out for the skill points and special items that might be hiding there. There is a wealth of knowledge to be obtained from “data cubes”, conversations with NPCs, items scattered about, computer terminals, emails, allies and even newspapers. A lot of thought went into providing the player with clues that will help guide your actions, if you pay attention to them. Deus Ex succeeds in combining politics, combat, science and tech, forensics, stealth and morality into a single experience, which makes the game multifaceted and stimulating to play. The numerous characters you can interact with, the map design and even the pigeons and dogs all enhance the “simulation” feel that this game has to it and enhance that suspension of disbelief we have to have when playing a game from this era. Looking Glass Studios and Irrational Games fell short of making the best game of all time only because their first attempt was better. 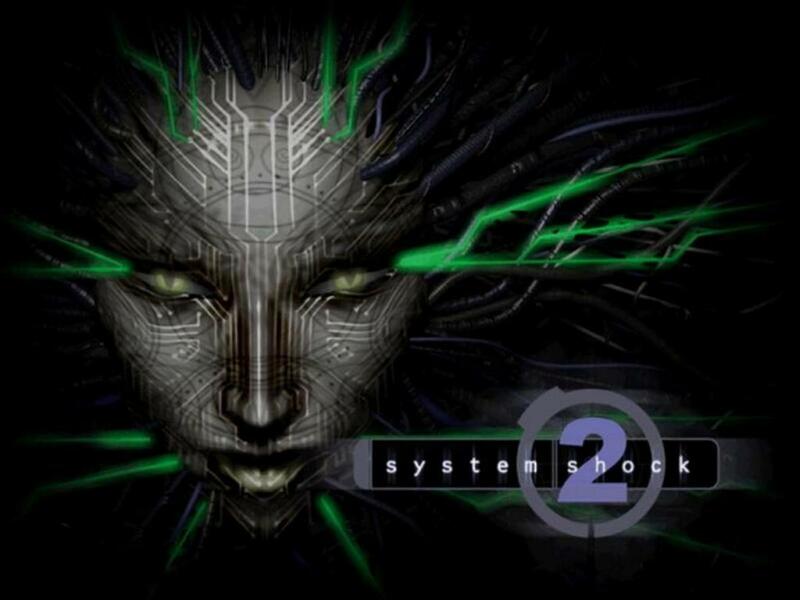 System Shock II is a template for “lesser” games like Bioshock, Doom 3, Dead Space and others but many people don’t realize where these modern games came from and why they were successful. SS2 is destined to be the foundation of concrete, forever supporting the architecture of modern sci-fi FPS games while unfortunately being invisible itself. This 1999 game is set in 2114, 42 years after the first System Shock. You are a soldier having just gone through 3 years of military specialization (which you customize and which will determine your specific skill sets) and are just now starting your 4th year assigned to the star ship Von Braun, the first “faster than light” ship, on its maiden voyage. Both Trioptimum and the UNN have a presence on this mission to test the new ship engine and you, along with your UNN comrades will be onboard another ship, the Rickenbaker, which is actually tethered to the Von Braun. The player knows nothing of what happens next except that you wake up in a cryo freezer with no clue why you’re there or what’s going on. You quickly learn that something’s gone horribly wrong and everyone around you is dead. You must then try to piece together what’s happened and how to survive the immediate threats. For such an old game, it sure does "evolve" ! SHODAN reclaims her place in this game once again and as usual, the voice acting is spectacular. Getting to know and understand SHODAN is an eventuality that will both disturb you and aggravate you. She is the perfect villain in so many ways because of the profound psychological effect she has on the player through dialogue alone. She is even more twisted and crazy than in the first game, if that’s possible and your involvement with her is not so straight forward as being aware of an enemy you need to defeat. The relationship is more complicated than that. This game is built on a relatively dated engine. The graphics are not very impressive, nor is the architectural detail. However the layout, use of lighting and props make up for this and turn an otherwise featureless environment into a cold, sterile ship which is falling apart. Essentially the developers did a great job of utilizing space and turning a little into a lot. The sound system was quite advanced for the time and noises propagate in an intuitive manner, providing richness to the already full atmosphere. 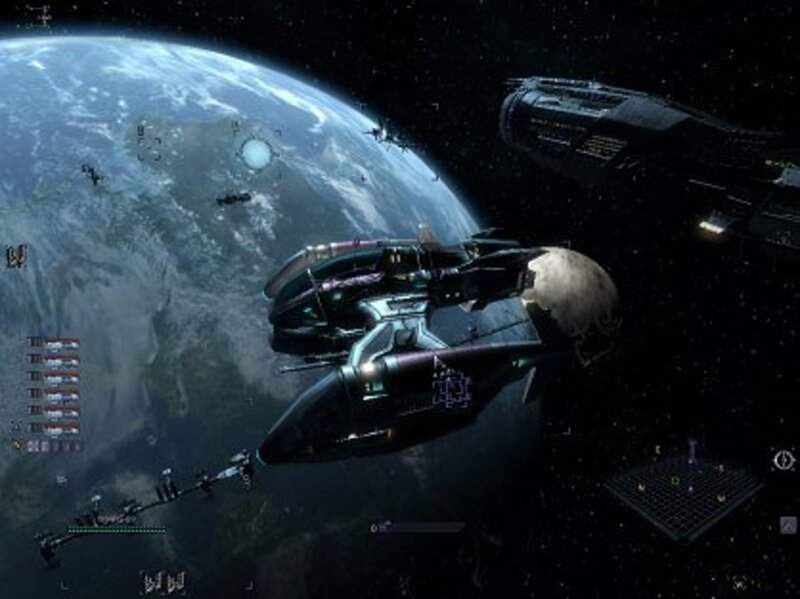 Furthermore, missions are somewhat non-linear and require the player to access earlier areas in some cases, making effective use of the maps but without inducing tedium during play. The musical score is great and has a great sci-fi weirdness to it that makes you feel uncomfortable and heightens tension, keeping you on edge. Many players have commented on how fear-inducing this game was simply due to the ambiance and AI behaviour. Character development and specialization is where this game shines. You have 3 different military specializations which start you off with different subsets of skills. These are “marines”, “navy” and “OSA”. These translate to weapons, tech and psi respectively. All this does is start you off with some basic skills though so you can invest in switching over during the game. You gain currency to buy new skills by completing mission objectives and can upgrade in 4 areas, which are “Stats”, “PSI”, “Weapons” and “Tech”. The game has 14 weapons in all and dozens of PSI powers. The player can also hack, repair, modify, research and do many other tasks that will all prove necessary at different points in the game although if you are deficient in a certain skill there are ways around that. There are a ton of items you can use to augment your base abilities or otherwise help you in certain functional areas. Now on to number 1! Was it a mistake not to include cyberspace in SS2? Nah... it sucked when they did it in SS1. I didn't really notice that it was missing. Totally dropped the ball on that one! What were they thinking? The fact that I picked System Shock as one of the best pc games of all time should come as no surprise if you’ve gotten as far as number 2. Looking Glass really outdid themselves with this 1994 DOS game and they did it with old tech used 2 years earlier for Ultima Underworld, back when 3D was more of a tech demonstration than a requirement for video games, so really this game is built on 1990 technology but still surpasses games well into the mid 90’s. The engine allows for a 3D texture mapped environment with 3D objects and sprites. It supports dynamic lighting, very sophisticated physics, variable gravity, 6 DOF Descent-like cyberspace, VGA graphics, a rich MFD and inventory system, weapon recoil, the ability to crouch, lay down, jump, lean, climb and look in any direction… there are too many things to talk about! I mean, really… in how many games can you stop what you’re doing and play several other, smaller games INSIDE the game?! System Shock is all about a hacker living in 2072 New Atlanta. He tries to hack into Trioptimum but gets caught, arrested and shipped to Citadel Station, the HQ of Trioptimum. The VP there is crooked and wants you to do a hack job for him in exchange for freedom and a cyberspace interface implant. You agree and remove ethical code from the ship’s AI, SHODAN, to allow the VP to get away with some shady business that he’s working on in his spare time. You are rewarded with the cyber rig he promised you and are put into a deliberate coma for 6 months in order to heal from the trauma of the surgery. When you wake up at the scheduled time, the station is a mess, everyone is dead or mutated and all the technology on the station is running amok. You collect a couple of personal effects and begin to investigate. Like SS2, this game could be considered first person but unlike SS2, it is not really a shooter. It is more of an adventure RPG with first person elements. You are able to use your new cyber interface to jack into cyberspace terminals where you can fly around and interact with virtual constructs to gain new access, open doors or achieve other objectives that you can’t do in the real world. You can also plug hardware into your body and use replaceable batteries to power these gizmos. The hardware gives you abilities that normal humans don’t have, which helps you survive and achieve your goals where others failed. You have a wide assortment of guns, grenades and drugs (in the form of dermal patches). The guns are all adjustable and use different ammo types or energy settings. Some of the grenades have settings on them and can be manually lobbed using the mouse. With the awesome physics system, they fly realistically at targets and objects in the world will explode, sometimes scattering their contents (like crates). The drugs (dermal patches) all have special effects that enhance you but also have side effects that hinder you. You can don protective suits too. There’s a floor plan and side view map that you can use to navigate and you can drop labelled markers to create landmarks! System Shock is one of those games that, after the 20th playthrough, you’re still discovering new features that you didn’t know existed. Try to ignore the crazy guy commentator. The plot is revealed through the use of logs and objectives are delivered through logs and transmissions. You have to connect the dots yourself and this system was carried over to SS2 as well since it is was so effective. The logs have many different points of view from the many crew members on-board the space station. You learn much about each person, their personality, their motivation and their demise. In the end, you feel like one of them and you relate to these people on a personal level, even though you never meet a single living crew member or see anything but their bodies. Shodan is voiced by Terri Brosius, just like in SS2. Here is where you first see the transformation from a benevolent AI into an insidious enemy. In the process, you witness first hand as Shodan becomes less and less sane. This is evident through dialogue and changes in tone and intonation. Shodan’s pervasive presence provides a sense of urgency for the player and constantly reminds you that you are in a race against time to either defeat or be defeated. In fact, on the hardest difficulty level you ARE given a time limit to complete the game. In all my years of playing this game I’ve actually been too afraid to attempt that difficulty level. Sounds completely irrational but I just don’t know if I’m up for it. It’s ok though because unlike most games I’ve played, oddly this one seems to have infinite replay value. For reasons I can’t explain in words, I never get bored of replaying this game so I guess there’s still hope that one day I’ll have the balls to race against the clock and try to defeat Shodan before it’s too late! Most of what you listed here were great gaming experiences. But, erm, you left out some genres, and also earlier games. Apologies for being frank. All "Top 10" lists are inherently flawed because when you define the criteria by which you rank the titles, those criteria are subjective and so your choices are also subjective. You are right. My purpose here however is, in part, to give my own opinion but also to recognize games that have earned acclaim over the years due to their huge popularity. System Shock, while receiving great reviews, didn't get commercial success for example so it's one of those exceptions I threw in based on personal opinion because I think it was a sleeper hit that got overshadowed by more popular titles of the time. Had release dates or marketing strategies been different, it might have made its way to the top on its own. I'm a city-building guy myself, I like Settlers III and Age of Mythology and other real time strategy medieval war games. This is an OK list, but you're right, it isn't THE list. Yeah I almost need 2 top 10s. In some universe I imagine that'd be possible. I usually go with my own personal choices when making a list. I don't really comment on games that I haven't played. A lot of people complain when they see "Best PC Games of All Time" in the heading and they don't see theirs listed when they skim through the article. But it's likely worded as such because it's going to potentially perform better in search results. I know because I do it myself. Wording matters. People can leave their favourites in the comments and discuss or better yet, they can make their own list. It's impossible to "declare" that any list of games is the right one because everyone's opinion is highly subjective. 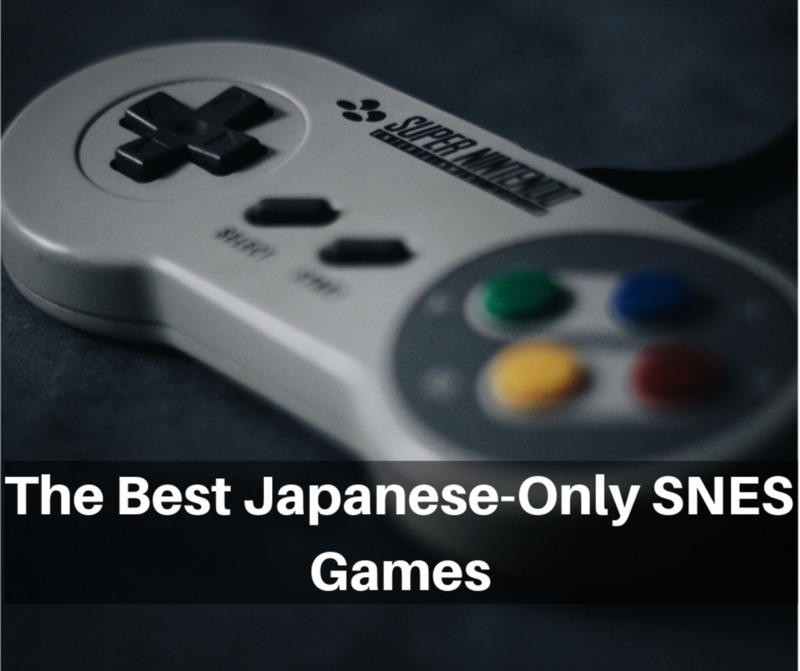 The idea is to either guess what the majority would pick as their top games or to create your own personal list and make a strong case to support the choices, hoping that readers will identify with the best qualities the game has to offer. Hey, this was a pretty good list you have here. I like the fact that you have both System Shock titles on here. Awesome games. I particularly love SS2.